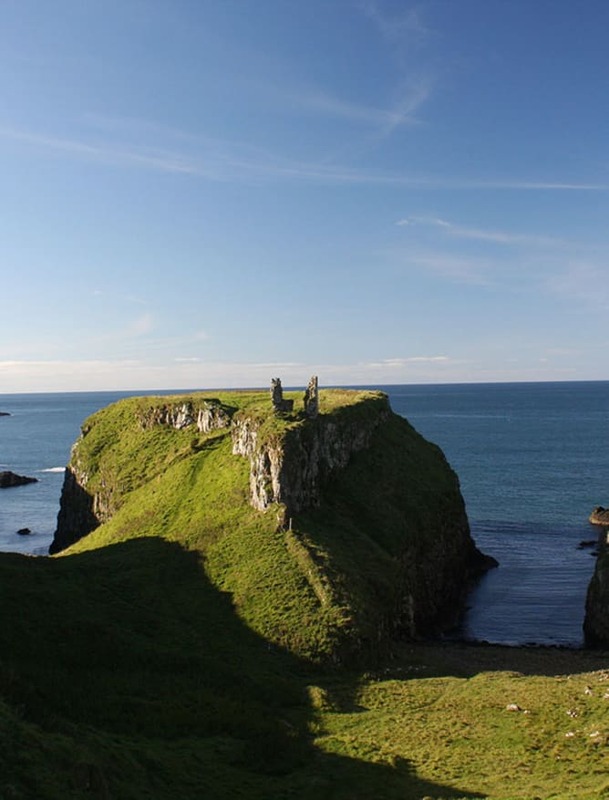 The Causeway Coast route in Northern Ireland is a stunning, natural sight-seeing tour that can begin or end in the easily-accessible Belfast or Londonderry. 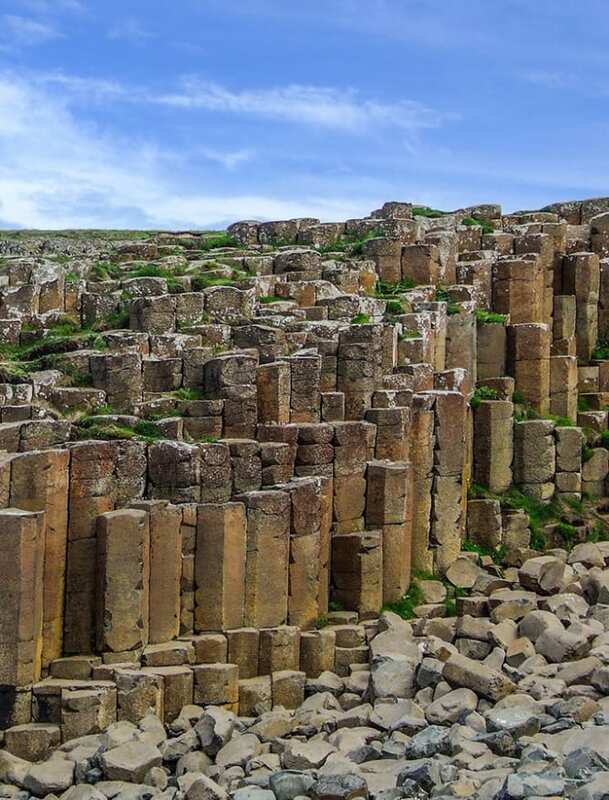 You’ll have likely heard of the Giant’s Causeway, but that’ll be just one amazing, polygonal step of 23 for you to remember. We’d recommend giving as much time as you can to the route, but 2 days is a definite sightseeing minimum. A cracking city for a short break anyway, Belfast is a great place to start or finish the journey. 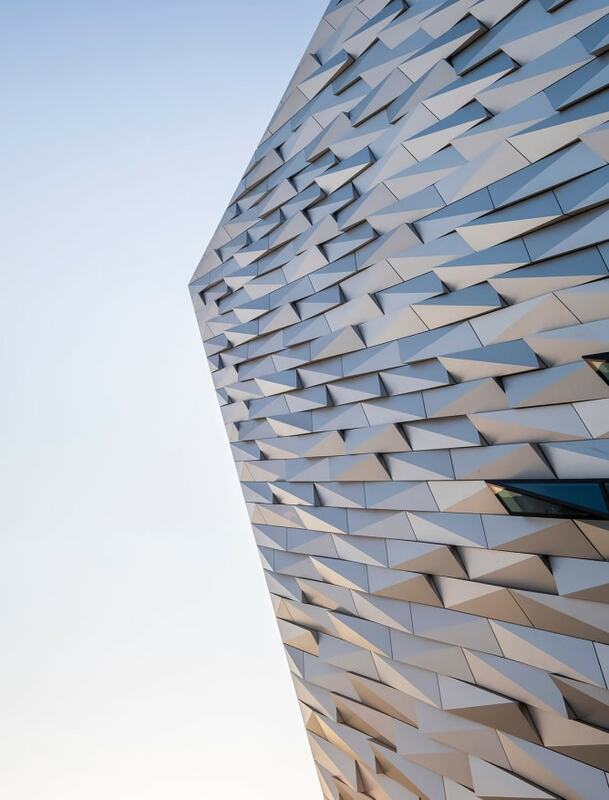 Check out the fresh Titanic Quarter with amazing museum and then enjoy traditional festivities on the Golden Mile. The first stop out of Belfast, Carrickfergus Castle is a long-standing monument that still looks as imposing today as it must have done when still in use. It sounds very Lord of the Rings and don’t worry, it looks the part too. 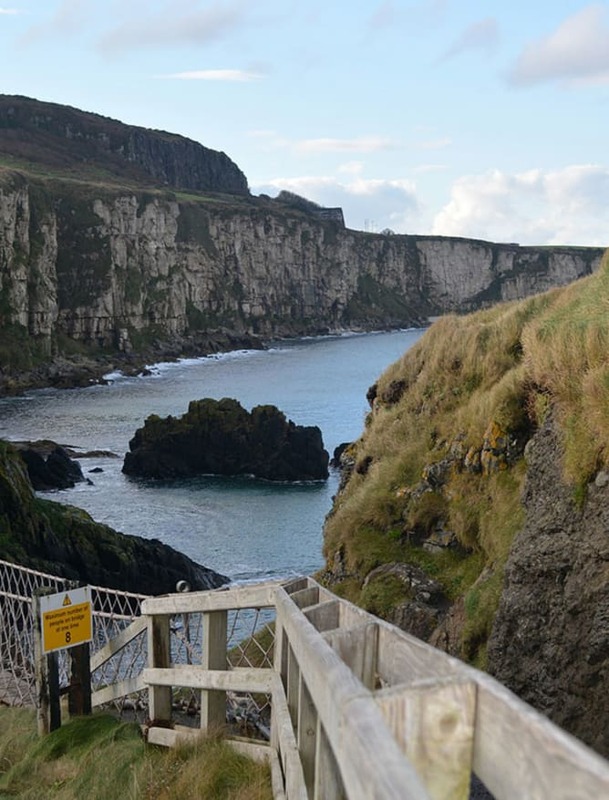 A cliff-face path first built in the early 1900s, The Gobbins takes you on an adventure through the Antrim Coast. Think bridges, caves, steps and tunnels by the sea. Fun in name and fun in nature, Carnfunnock Country Park has a lovely view overlooking the Antrim Coast, walking trails, an adventure playground and best of all, a hedge maze shaped like Northern Ireland! Maybe not what you were expecting, but you’ll see it coming – Slemish is an extinct volcano and where Saint Patrick reportedly looked after his sheep. Expect a busy walk to the summit on Saint Patrick’s Day! 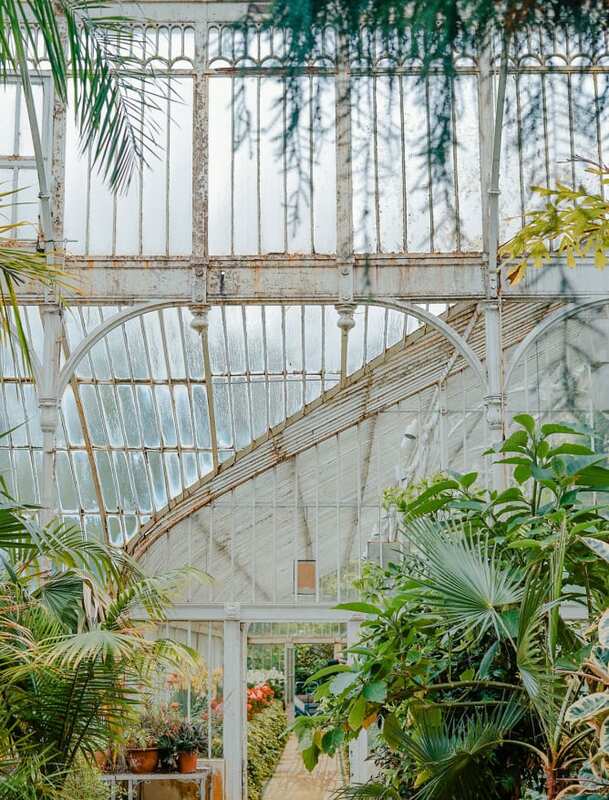 An old ancestral home of the Earls of Antrim, the setting with its serene Walled Garden and aptly-named Mushroom House is well worth an afternoon wander. Head back into nature with a scenic drive (with rambling too if you want) through the nine Glens of Antrim. Glenariff Forest Park has a waterfall walkway not to be missed and the local towns offer a great opportunity to be traditionally fed and watered. 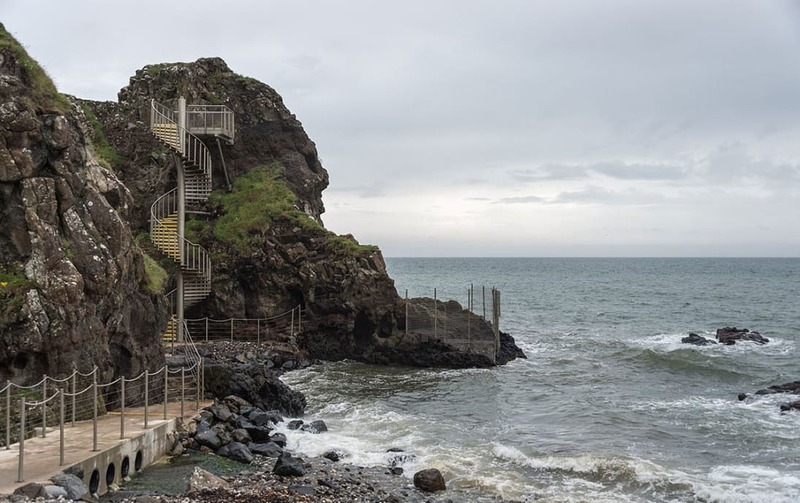 Technically part of the Glens of Antrim, Cushendun makes the list as it was a filming location for Game of Thrones and is a genuinely pretty coastal village (modelled on those in Cornwall) with a lovely beach too. Taking a bit of a ‘detorr’, head up a narrow road (Torr Road to be exact) and get the best views out towards the Scottish coast from this patch of Ballycastle. Ruins and interesting memorials are next on the agenda at the Bonamargy Friary built in 1500. It’s picturesque and next to the lively town of Ballycastle. The most spooky and yet beautiful intertwining beech trees you’ll ever see! 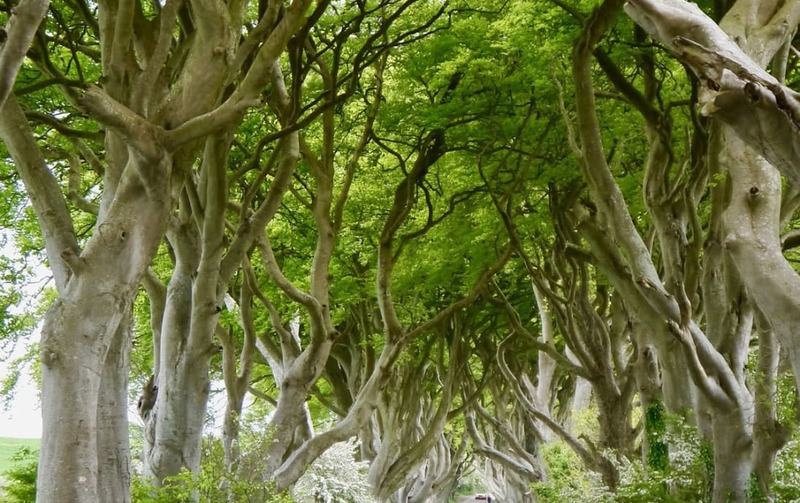 Not a natural occurrence, the Dark Hedges were planted by an 18th century family to welcome people to their mansion and to make for another great filming location for Game of Thrones (The King’s Road in Season 2). You won’t be able to drive to Rathlin Island, but a quick ferry from Ballycastle will offer a great chance to check out some great lighthouses and maybe even see some seals. 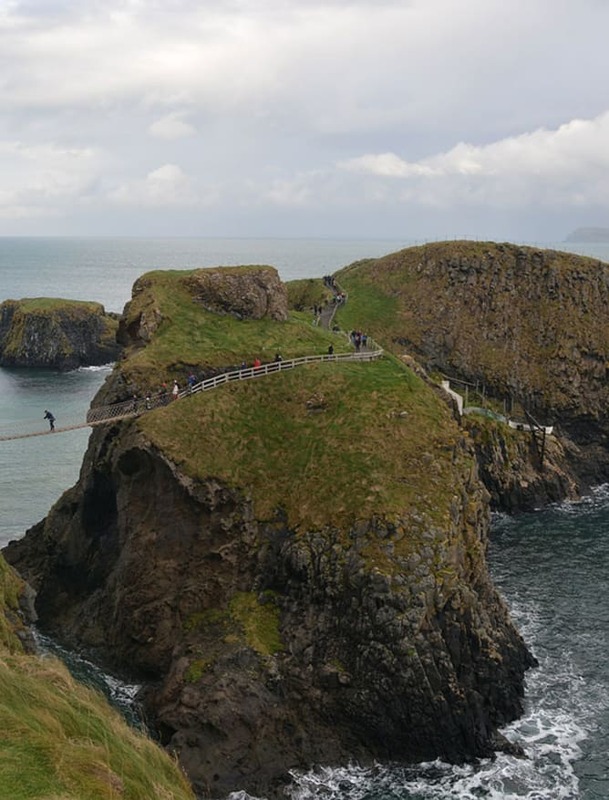 The coastal route has a few great stops for getting our knees to wobble and none more so than the Carrick-a-Rede rope bridge. Hanging across a 20 metre gap, you can wander from one cliff-top to another surrounded by some awe-inspiring land-and-seascapes. Another filming location for Game of Thrones, this quaint harbour is a photographers dream and only a short way from Ballintoy village. Sandy beach time at the serene Whitepark Bay. Great for a windy walk or bucket and spade day, the long arch of sand has plenty of space to relax on. 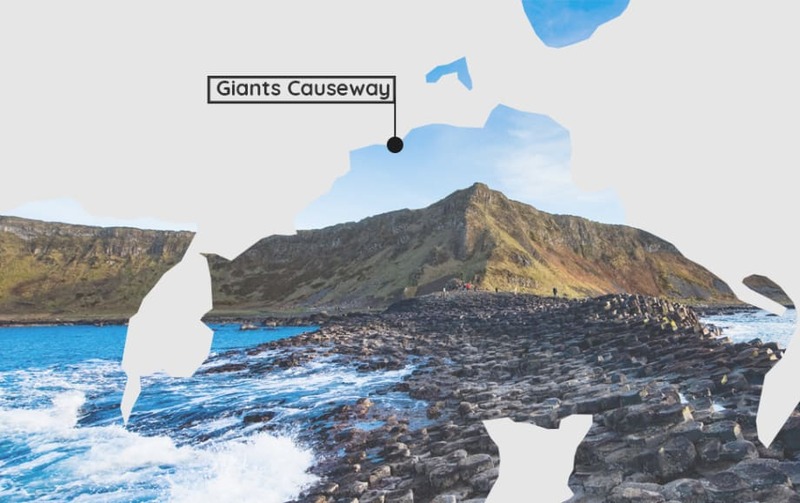 Some might say it stands head and shoulders above the other stops, the Giant’s Causeway really is a famous World Heritage Site for a reason. The polygonal stones look other-worldly and there’s even a cracking Visitor Centre if you’d like to try get to grips with the geology. Irish whiskey has been produced at Old Bushmills Distillery for over 400 years and it’s probably safe to say they’ve cracked it. So sample a tour or put it on ice, that’s up to you! They picked a great lookout spot for this amazing old castle. Popular in real life and in fiction, C.S. Lewis was said to be inspired by the dramatic cliff-top keep. Cliff-top is one of the great themes of the Causeway Coastal route and the Mussenden Temple is another monument to sit atop one. You can even gaze up at it from a lounging position on Downhill Beach. Time to venture up again, this time for the views from the adventurous summit of Binevenagh. It’ll be windy but it will be beautiful too! Really starting to get away from it all now, Magilligan Point sits at the point Lough Foyle meets the sea. Worth a look for its sand dunes, Napoleonic War defences and generally relaxing ambience. Wildlife spotting takes centre stage in the Roe Valley Country Park. It’s a great habitat for foxes, badgers and otters – oh, and salmon and trout which are there for the catching too! 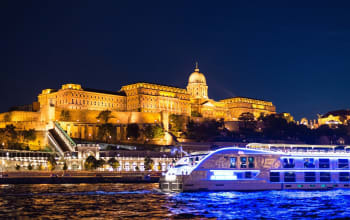 The route is bookended by two great city break locations. Londonderry mixes old and new perfectly with its full city walls and year-round events. 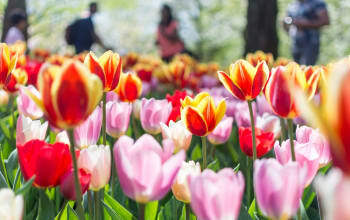 Getting to Belfast is quick and easy with flights available all year round from Leeds Bradford Airport. 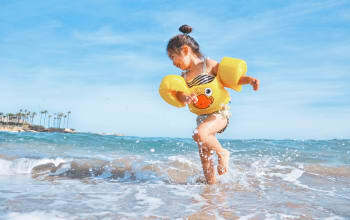 See our flight guide to check when you could fly or book direct with Flybe.